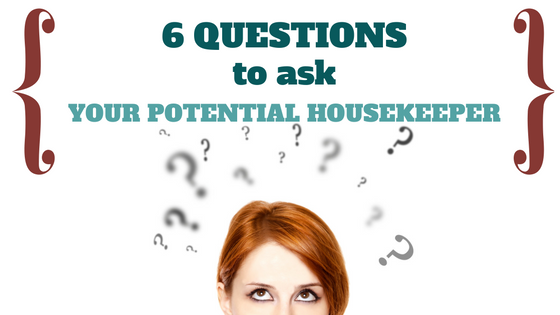 Hiring a housekeeper can be a time-consuming process. Background research, reading reviews, preparing questions and interviewing can take a great deal of time. After all, trusting anyone with your home and its possessions has to involve some level of comfort. #1. Can I see a list of references and have contact information? Former clients/customers? #2. How long have you been in business and how much experience do you have cleaning homes and businesses? #3. Do you have your own cleaning supplies and equipment or do you need to have those provided? #4. What services are included with your standard rate? How much do additional services cost (for example, laundry)? #5. How can I communicate what services I want performed? How do I communicate expectations? #6. What are your rates for various cleaning jobs and tasks? Biweekly, deep cleaning, etc? Want to discuss your cleaning objectives and goals? Our team is here to provide answers to your cleaning questions.